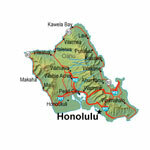 You won't require an island rental car if you're flying into Honolulu and won't be venturing from the Waikiki Beach area. However, as fun and crazy as Waikiki is, there's a lot more to Oahu. 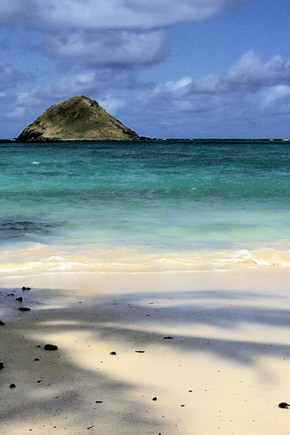 When you reserve a rental car through us, the freedom to enjoy all of Oahu becomes yours. Beginning with Honolulu, Oahu boasts a world class city. Museums, WWII monuments, Local historical landmarks, theater, shopping, festivals and nightlife are all found here. As with all the islands, Oahu's weather is tropical and almost perfect every day of the year. Average temperatures range from 75 degrees to 85 degrees F. You'll find the the western, leeward, side of the island to be drier while the eastern, windward, side is wetter. The north side of Oahu provides a scenic beauty minus the fast pace of the city. There are beautiful resorts here. Winter surfing is world class. No matter where you book lodging on Oahu, you will surely want to experience the other areas of this amazing island with a discount rental vehicle.